"Body, Full of Time" is a solo choreographic work performed and created by movement and media artist Scotty Hardwig in collaboration with visual artist Zach Duer. 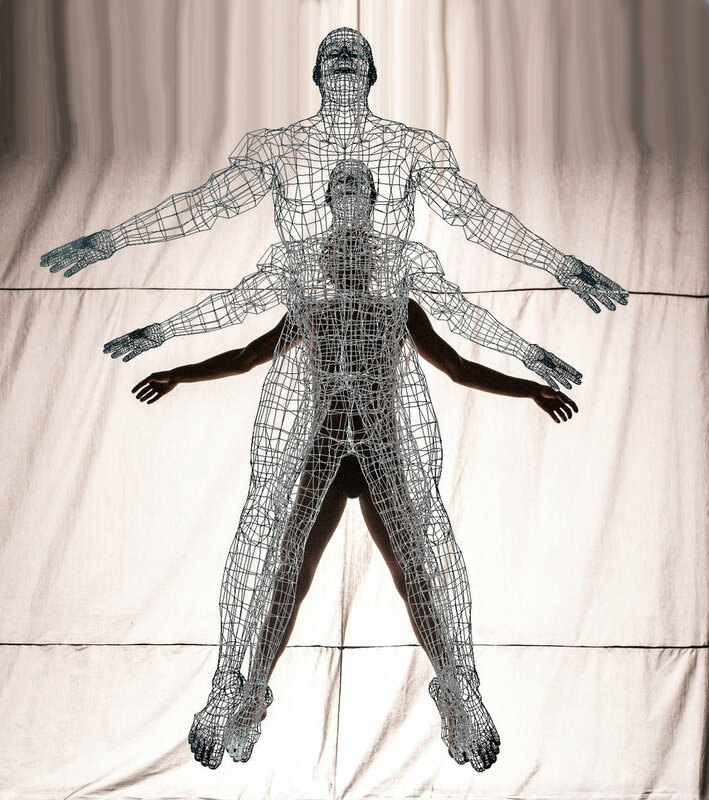 Using motion capture, projection, and interactive avatar designs, the work presents a chimeric vision of the human body fragmented in the cyber age, examining the relationship between physical and digital versions of self. The dance emerges in the space between the human and the virtual, with the body both as active sensor and passive recipient to technological currents. Produced by the Virginia Tech School of Performing Arts and the School of Visual Arts. During the month of July I'll be in residence in Quito, Ecuador creating a new choreographic work for the National Ballet of Ecuador's contemporary company, as well as a dance on camera adaptation for the company's anniversary season. The video piece will include dancers from the contemporary company, urban dance corps, and ballet company in spaces around Quito and beyond. Stay tuned for videos of these works upcoming! Salt Dance Fest 2018 brings together internationally renowned dance artists and dance -makers Wally Cardona, Omar Carrum, Katie Faulkner, Eric Handman, Scotty Hardwig, and Pablo Piantino for two weeks of moving, collaborating, dance making and the spirited exchange of ideas, June 4 -15, 2018. This workshop will take a creative approach to the lenses through which we see the performing body, including the photographic, filmic, sonic, and visual. With a multimedia approach, we’ll aim to develop two group works including a video study filmed in the Utah environment for the first week, and a live movement study with projection and sound design as a group for the second week. Some classes will take place in the studio, and some will take place in the Marriott Library's computer lab spaces. Starting with exercises in site-specific movement practices and outdoor work, we’ll look at how to frame these explorations through a photographic or filmic eye. Then we will start developing a group choreographic structure or idea to video in an outdoor space. We'll try to film this on the first weekend,so these participants would need to be available for a film shoot in an environmental location either the Saturday or the Sunday of the first weekend (transportation will be organized). For this week, we’ll look at how to design and frame live performance events through the use of projection and sound; an introduction to Ableton Live and Isadora will help develop concepts for a group choreographic or improvised structure using live projections. This April I'll be in residence at the Middlebury Institute of International Studies in Monterey, CA working with Andrea Olsen and graduate students from a variety of disciplines. We'll be creating a video work centered around concepts of water and coastal ecology for the National WaterDance Project 2018.